Not a single meeting, conference or official meets could be thought of without presentations. 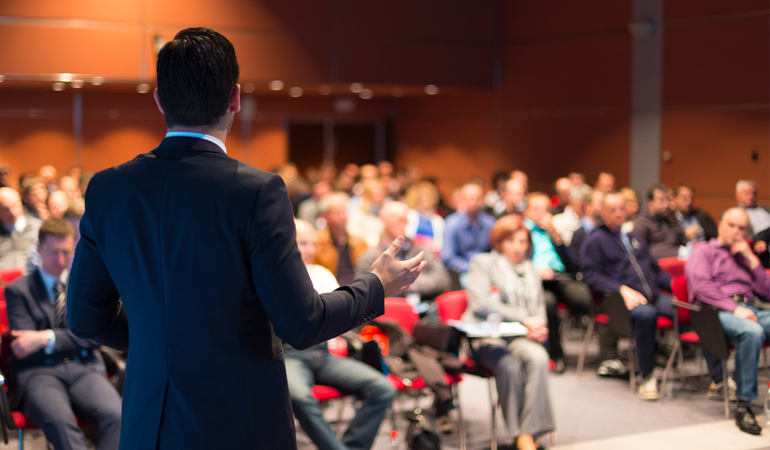 PPT Presentations were, and still are the dominant driving force to carry on with a successful conference or an AGM. 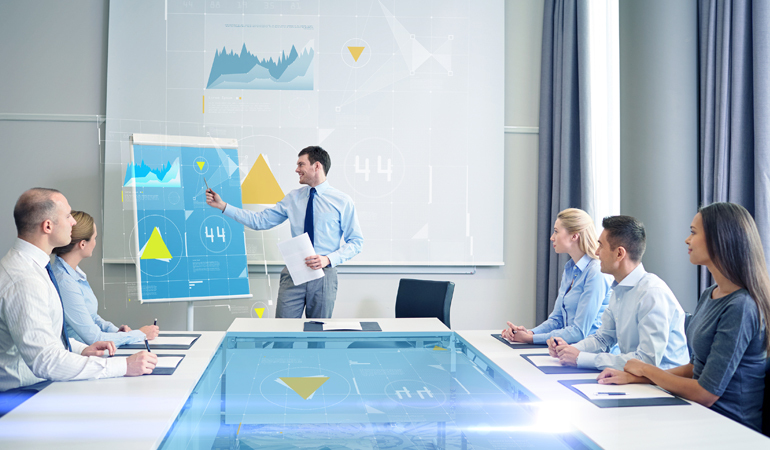 Presentations are the streamlined portrayal of a plan, product or a strategy that gives detailed information to a selected target audience. 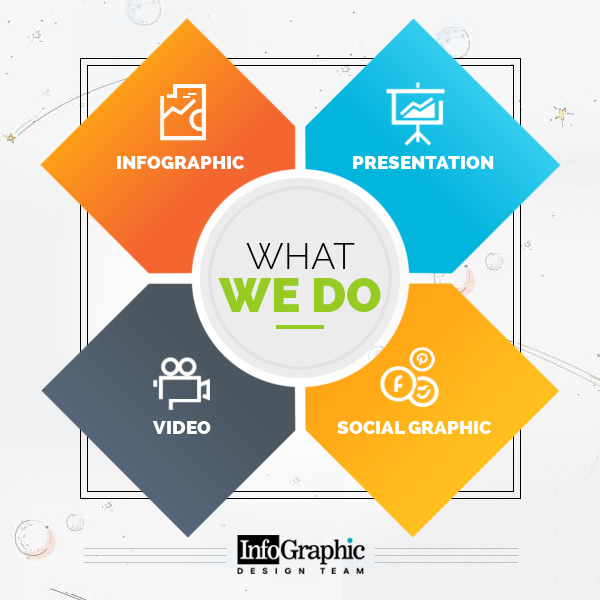 But no matter how important PPT Presentations are in the corporate sector, when it comes to make a presentation, our creativity takes a deep slumber, and we end up creating something full of plain text and loud images. 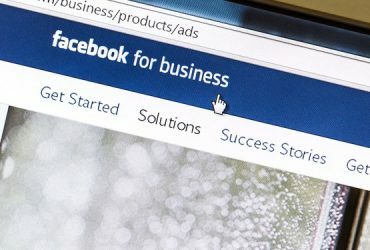 You do not want this to happen for your business, right? Neither you want to bore your target audience to sleep with a groggy layout, nor you want to induce a headache in them by showing loud images. What can you do instead? Or what must you do? You tell a story! Yes, a story. A more visual story rather than a textual one though. Use your PowerPoint Presentation to tell a story about your brand, your product and services, your strategies, and anything. But tell it as visually as possible. So what makes an appealing and compelling presentation? Here’s our take on getting your point across with suitable imagery, without being too much on the face. 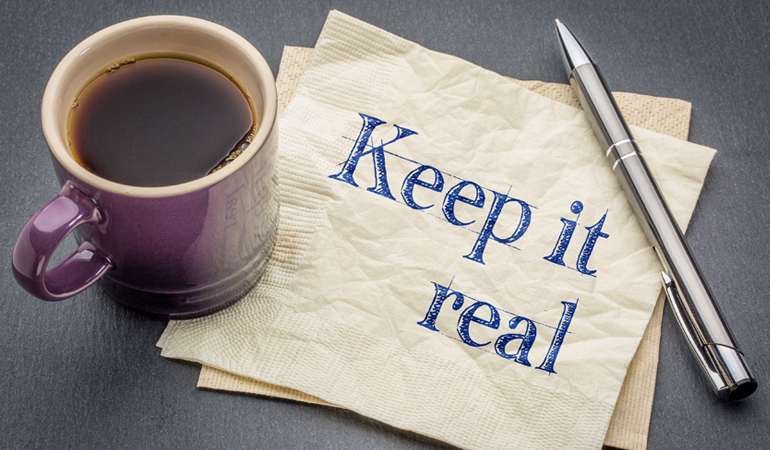 You cannot simply get your message across to your audience without a supporting and relevant image. Turn your message into a graphical form through creative presentation techniques and then showcase it. 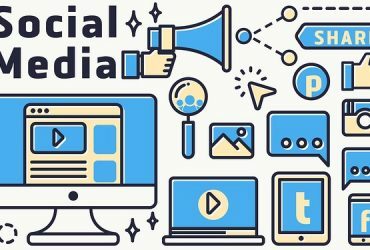 Your message can only create an impact on the minds of your prospects when you connect it to an image. Because images are easier to remember and have a great explanatory power. Keep your powerpoint presentation simple yet meaningful. So that even a layperson can grasp in no time, what you actually want to convey. Think about a concept when you plan your images. Be conceptual, but not abstract. You do not want your audience to get confused when they see the images in your presentation. Confusion is a major turn off for a target audience. Neither you want to be too literary either. So strive to strike a perfect balance between the two. This symmetry and harmony between conceptual and literary projection can create your presentation a big hit. Illustrate the nuances you want to talk about. And be relevant. Once you get your images done, plan accordingly so that the images are presented first to your audience. This helps to set the tone of the whole presentation thing. And then you can eventually put your messages by putting them on multiple slides. But first, you need to show some cool images to make your audience expect what’s coming next. 4. Be Repetitive, but not Annoying. Don’t cower from putting across your message over and over again. It’s imperative to maintain your audience’s attention and keep them on the track where they had started. So don’t fear to be apparently repetitive. Repetition is acceptable in some use cases, but you have to be highly smart not to be annoyingly repetitive. Reiterate your message in such a clever way that your audience doesn’t understand the repetitive action. 5. Give Value, real Value! Don’t be too engrossed with the thought of the copy, backgrounds, fonts, transitions. Your presentation is a piece of value, not just a pretty wallpaper, right? So focus more on the value-added feature of your presentation. Does each slide emit certain value? Do these values are actually worthwhile for your existing clients and prospects? Think about this aspect too. Many think the more images, contents, and graphs you can give, the more your slides become valuable. Well I must say, in today’s world, that’s a myth. Because if you clutter the slides with too many texts and imageries, nobody will even care to watch them. Cut the clutter give room and don’t overwhelm your audience with a rigorous flow of data. Clean up the slides, so it becomes aesthetic to read. Choose colors on your own discretion, never go for loud shades. Keep it subtle and toned down. And always remember the mantra, Less is More! Start your presentation with a question, what are the problems you are going to talk about or solve! This is a pivotal part because here’s where you get the major traction and attention. Once the question is done, now present your key findings on the problem, in the middle part of your presentation. That gives it a logical flow and helps your audience to read further. And finally, of course, give the solutions to the problem. Let the audience go home or shut their PCs down with satisfaction, that they’ve learned something. Ensure you use the same font, same theme, same color and same corporate brand identity throughout the presentation because branding is the key to a successful presentation. If the audience cannot even figure out the brand behind the presentation, it’s a big fail! 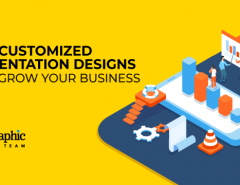 Whether you are pitching a new business idea or a new product or service, reinforce your brand’s image through the design. Treat the PPT deck like any other marketing and advertising material campaign. Only you can expect success. Getting the undivided attention of an audience is hard. And to maintain the same intensity of attention throughout your presentation is daunting. A study conducted by the University of Tennessee says that the span of attention of an average adult for a presentation deck is just 20 minutes. 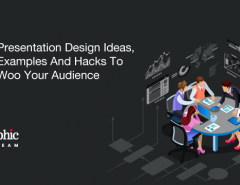 And in this 20 minutes, you have to present a concept, get across your branding message, explain your product or services, and how it can solve a problem. And finally why the viewers must try you! Well, well, a long list of tasks to be done within a meager 20 minutes. The best way to achieve this is to keep your presentation short and crisp. Only focus on the key areas and try to explain those areas precisely. 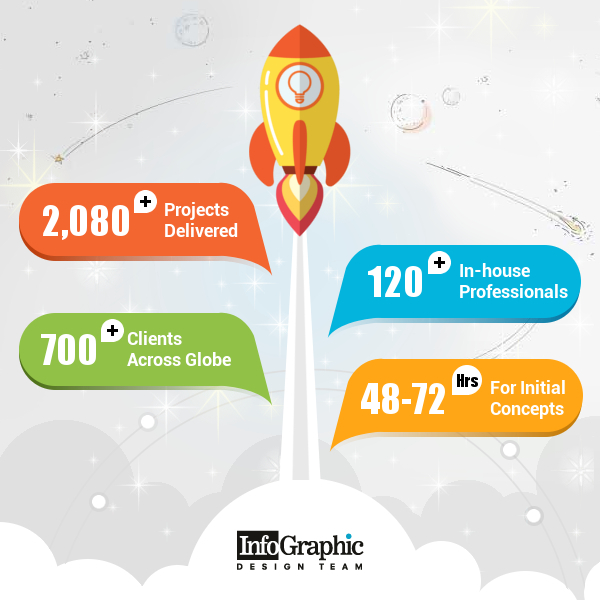 And for this, Infographics can help you a big time. 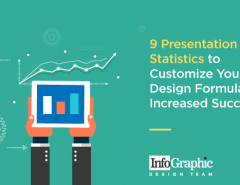 Compile your messages into an Infographic and include it in your presentation . It saves time, and also conveys everything you wanna say. Once Steve Jobs pulled out a blank slide in one of his presentations. You think that was a mistake? Well no, that was a deliberate and calculated step from the maestro. So that his audience could have rested their eyes for a bit, relax a little, and maintain their focus. So try to give your audience a small break in between that helps them maintain their focus on your presentation. There’s no rocket science to make your presentation a success. It’s just about striking a proper balance between certain things and keeping the designs aligned to your brand image. 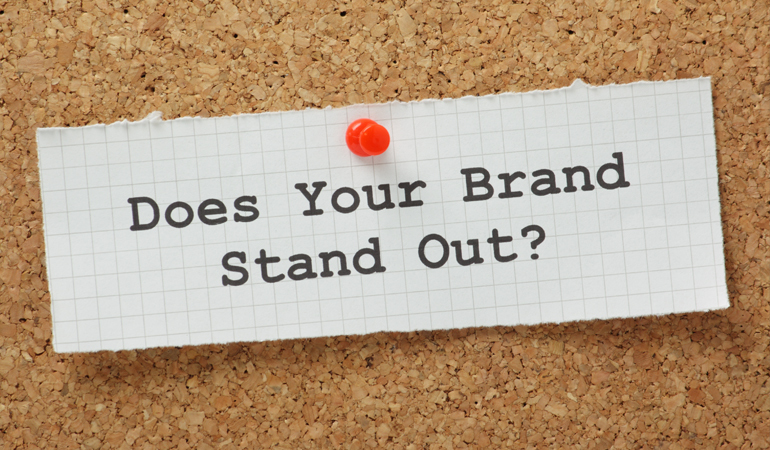 The more your brand reflects in your presentation, the more you have the chance of getting seen and liked. The tips I mentioned above are not cutting-edge strategies, rather some basic rules of thumb. Though still there are many who ignore these rules and end up empty-handed. Let us know if we have missed out any tip, or if you have any better tip in your knowledge. So what are the tips you follow to make your presentation a grand success? We would love to know about that also. Feel free to leave a comment in the comment section below.